Ioannes Bethe (Argentorati natus die 2 Iulii 1906; Ithacae mortuus die 6 Martii 2005) fuit physicus Americanus oriundus e Germania qui anno 1967 Nobelianum Physicae Praemium meruit. Jeremy Bernstein: Bethe. Prophet der Energie. Hirzel, Stuttgarti 1988, ISBN 3-7776-0442-9. 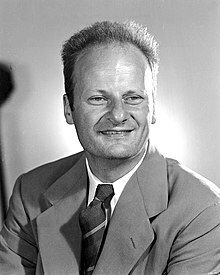 Gerald E. Brown: Hans Bethe and his physics. World Scientific Books, New Jersey, N.J. 2006, ISBN 981-256-610-4. Novissima mutatio die 1 Octobris 2018 hora 13:12 facta.